Few bemoan the demise of the ADAT machine but I, for one, do. Sort of. The ADAT – or Alesis Digital Audio Tape format – first starting appearing in 1992 and it did a lot to usher in the era of high-quality project studios. The ADAT used S-VHS tapes that looked like the ones you’d get from Blockbuster, but it could record eight channels of 44.1kHz audio. In theory, you could synchronise up to eight ADATs for a total of 128 tracks, but with a price tag of £3,500 on launch, you were unlikely to find many home studios with that kind of setup. Just to put things in perspective, at that time, hard-disk recording was still a way off – it would be another five years before the top-end recording studios started replacing their two-inch tape machines with hardware-dependent Pro Tools systems. And in the home-studio market, everyone was using cassette-based Portastudios. At least that’s what I read… I was six at the time. My short-lived bromance with ADATs began some 11 years later in 2003 – the very same year that Alesis actually killed off the format. I had access to a pair of XT-20 machines. They were clunky 2U rack devices that were notable for not being black; they were finished in a striking champagne and grey scheme. I spent many an hour rewinding, waiting for the machines to sync up, dreading error messages and asking for “just one more take”. I see why the format gets so much stick now. It really did deserve a lot of it, but for almost every one of the ADAT’s flaws, there was a fairly serious upside. Take the cost of the tapes: the ADAT tapes themselves were expensive (for a student) and they were chunky. But, for the same reason that vinyl is so popular today, their physicality meant you ascribed value to them. You respected the medium because it was tangible, much more so than bits on a hard drive. You would consider what you were going to record before laying it down. That’s not always the case when hard-drive space is virtually unlimited. How about all the time lost rewinding the tape after every take? Or the time spent and finding the start of your track in the first place? Sure, the navigation could be a pain point if you were dealing with several songs on a single tape, but being forced to take a moment away from your track after every EQ-tweaking listen was a good thing. It gave you more time to think about what to do next. You might even call it ‘enforced mindfulness’. If I’m really putting on the rose-tinted spectacles, I remember having a refreshed perspective on every listen, much more so than with the immediate replay of the DAW. Editing wasn’t really something that ADATs were capable of either. They did have a pretty impressive gapless punch-in system which meant you could define in and out points, but there was always a much greater focus on getting an entire good performance from the beginning of the track to the end. The hard-disk-based Alesis ADAT HD24 replaced its tape-centric brethren. Regardless of the punch-in facility, recording with ADATs was a destructive recording technique, so if you were going to try for another take, you had to be sure it was going to surpass the previous one. In that kind of studio, you’d hear the words “it’s good enough”. That’s a phrase you rarely hear today. Without the tools to comp, quantise and tune every performance, you had to live with the imperfections, and that was no bad thing. You could almost guarantee that some of the musicians’ character would remain. 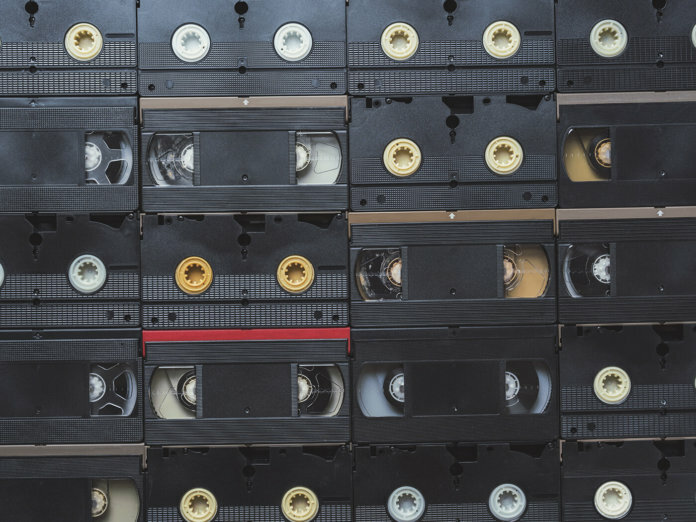 Admittedly, many of these arguments are the same as those given for using analogue tape over computer-based recording systems. I’ve never recorded to analogue tape, but the process of recording even to digital tape certainly had its benefits. There was a simplicity of function, a lack of clutter and nothing to be distracted by. Though the ADAT may no longer be with us, it does live on through the ADAT Lightpipe protocol with its fibre-optic transmission of up to eight channels of digital audio at once. Nearly 30 years on, that’s not to be sniffed at. I’m never going to go back to using an ADAT to record music, but the memories I have of my nine months spent recording with those machines were among my fondest. Even though they occasionally chewed the tapes if you pressed the transport controls in the wrong order, the ADAT helped get me hooked on recording.